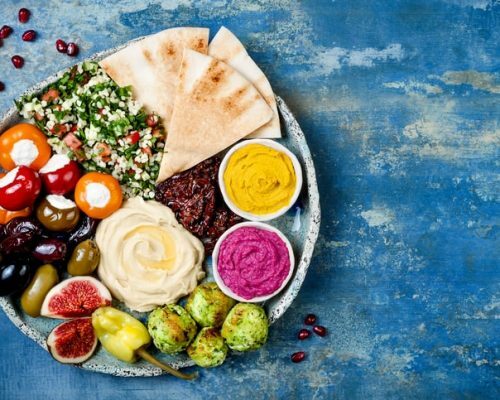 A new study from the University of East Anglia has found that following a Mediterranean-style diet can reduce the risk of stroke in white women over the age of 40, but not in men. The diet is characterized by an increased intake of fish, fruit, vegetables, nuts, and beans, and a decreased intake of meat and dairy. The study is qualified as one of the largest, with the longest follow-up period. It was performed over 17 years and included 23,232 participants. They asked the participants to record their food intake for seven-day periods at a time in a food diary, which has shown to be a more accurate method of information gathering than food surveys or questionnaires performed after the fact. The participants were all Caucasian and between the ages of 40 and 77. They were divided into four groups based on how closely they followed the Mediterranean diet. The group that followed the diet most strictly showed a reduced risk of stroke. The breakdown of the diet’s impact was a 17 percent reduced risk of stroke in all adults, a 22 percent decrease in the women, and a 6 percent decrease in the men. The researchers believe that the risk reduction in the men was statistically insignificant and may have been a fluke. The results were found to be true despite menopause or any hormone replacement therapies that the women had undergone. The results also showed an overall decrease in the risk of stroke by 13 percent in the participants who were at a high risk of cardiovascular disease no matter how strictly they followed the diet recommendations. These results were mainly found in the group of women who had an already reduced risk of 20 percent and again, the researchers attribute the additional reduction of risk of stroke in the other participants to random chance or unaccounted for lifestyle factors outside the study guidelines. Currently, the American Heart Association guidelines on diet recommend consuming fruits, vegetables, whole grains, low-fat dairy products, fish, poultry, beans, non-tropical vegetable oils, and nuts, while limiting one’s intake of saturated fat, trans fat, sodium, red meat, junk food, and sugary beverages like juice and soda. “Our findings provide clinicians and the public with information regarding the potential benefit of eating a Mediterranean-style diet for stroke prevention, regardless of cardiovascular risk,” said another of the study’s authors Phyo Myin.